The mission of the Council of Automotive Repair (CAR) is to provide training, services and a legislative voice to the independent auto repair industry in Washington, D.C., Maryland and Delaware. Organizing independent automotive repair shops so that they will become the overwhelming choice for repairs and service by the motoring public in Washington, D.C., Maryland and Delaware. Providing its members with the tools and member services necessary to achieve better profitability and security within their businesses. Supporting its members by providing technical and management training at a discounted rate. Providing its members with a legislative voice on Local, State and Federal issues affecting the independent automotive repair industry. Providing its members with the reputation for higher standards of quality and professionalism by recognition of the CAR affiliation by the motoring public in Washington, D.C., Maryland and Delaware. The Council of Automotive Repair envisions a united membership, working in unison to give strength to the independent automotive repair business. WMDA/CAR – Service Station and Automotive Repair Association is constantly working to maintain and improve your business environment through aggressive political action and improving your bottom line with endorsed programs that work! Our endorsed programs are saving our members hundreds of thousands of dollars a year and viewed as a “proven profit center” to those who participate. 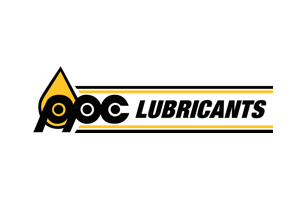 Save up to $6.50 per gallon on select Castrol & Blue Mountain Lubricants Motor Oil Products from PPC Lubricants. Save up to 15% on Auto Parts and Supplies from The Parts Authority. Save 20% or more on Trash Removal Services with Premier Waste. First Merchant does the work for you finding the most competitive Credit Card Transaction Fee. Sprague electrical co-op finds you the best electricity rates available. Comprehensive Insurance and Legal Services by proven industry leaders. Our staff is “Your Source” for industry information and services that save you time and money. Networking with your fellow members and benefiting from their knowledge and experience. Interviews are currently ongoing for additional endorsed programs ... we will keep you informed. To view a list of our current endorsed programs, Click Here. Join one of the fastest growing network of leading business owners and sales professional! Click Here for pdf version of CAR Membership Application.